Physiological computing focuses on the use of biosignals for the development of interactive software and hardware systems capable of sensing, processing, reacting, and interfacing the digital and analog worlds. However, biosignals have specific requirements for which typical physical computing platforms are not particularly tuned. Until recently, many projects ended up hindered by high costs and limited access to suitable hardware materials. That scenario is different today, partially thanks to the following 5 DIY hardware platforms. 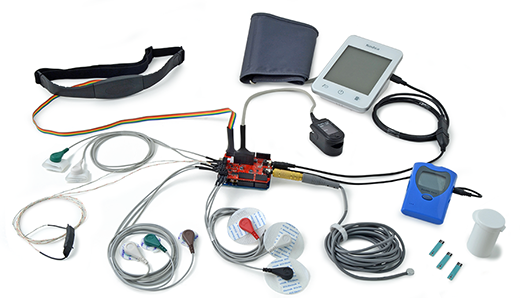 This is the Swiss army knife of low-cost hardware and open source software toolkits for applications with biosignals (muscles, heart, nervous system, and others). BITalino is designed to meet the learning and prototyping needs of students, teachers, makers, artists, researchers, corporate R&D, and other users alike. Now... I’m surely biased to comment on this one, but MAKE magazine recently highlighted BITalino as "one to watch" in wearable microcontrollers. In the words of Robert McGrath, "these guys do know what they are doing, and have designed well." For hassle-free usage, the hardware bundles multiple biosignal sensors, an ATMega328p microcontroller pre-programmed for real-time data streaming, a Bluetooth wireless interface, and a power-management block with a built-in LiPo battery charger. The software includes the OpenSignals real-time visualizer, programming APIs, and plenty of examples. OpenSignals is actually quite cool for rapid prototyping, given that it uses the "batteries-included" Python for high demanding tasks and HTML/CSS/JS for the UI—just check out the bare bone on GitHub. Other goodies include free enclosure models that can be printed in any desktop 3D printer, an active user forum, and a growing and vibrant community. A medical armamentarium in a board is perhaps the best way to describe the e-Health Sensor Platform made by Libelium’s Cooking Hacks open hardware division. This shield works together with an Arduino or Raspberry Pi and features blood pressure, glucose, airflow, oxygen saturation, and many other sensors you’d expect to see only on a hospital bedside. There are multiple interface options to choose from, including WiFi, 3G, ZigBee, and even the use of a camera to capture photos or videos. Software-wise, the team has created a C++ library through which the user can read sensor data and send measurements using one of the available communication interfaces. Users also have a number of options to visualize the data, and there’s even a way to send data to the cloud. Overall, the e-Health Sensor Platform has been designed with telemedicine in mind and provides plenty of tools to do that in an affordable way. You’ve got to love these guys. Brain activity monitoring is a daunting task no matter how one goes about it. Packing most of the features of high-end Electroencephalography (EEG) equipment in an (comparatively) affordable open hardware platform with research quality signals? That deserves respect. The team at OpenBCI stepped up to the challenge and a very successful Kickstarter campaign sealed the deal. Their board packs a high-performance TI ADS1299 analog frontend, a programmable microcontroller, memory card for local storage, and Bluetooth Low Energy (BLE) for data transfer. OpenBCI has been specifically designed for EEG, in particular targeting Brain-Computer Interface (BCI) projects, so with the kit comes a set of standard gold cup electrodes and conductive paste. There’s even the option to print out a head mount that seems straight out of a Spider Man movie. As for software, the team went for the trialled & tested Processing, providing users with a basic dashboard to visualize the data stream and features extracted from the collected data. Users also get an SDK for Python, and coming soon are its counterparts for OpenFrameworks and Node.js. To top it all off, there’s a pretty well organized set of documents and tutorials. When it comes to DIY hardware for physiological computing, this is the grandfather of them all. 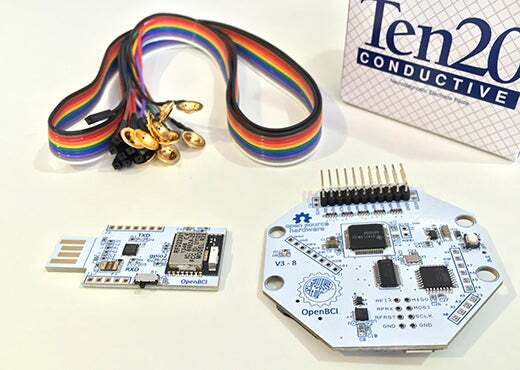 Launched back in 2004 (a year before Arduino), OpenEEG started with the mission to offer an inexpensive alternative to commercial EEG devices to be used as a hobbyist tool or toy. 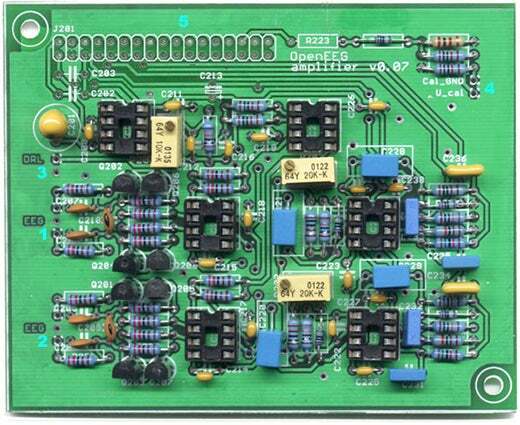 The hardware includes a data acquisition board, active and passive electrodes, calibration tools, and other utilities, such as a modulator to use the sound card as an EEG recording device. Is this awesome or what? Users can also hack their way through the available OpenEEG-related software apps and libraries. There are biofeedback and neurofeedback apps, a TCP/IP server for raw EEG data streaming, and even a simple game controlled by a user's brain. Other cool brain wave projects include NeuroKnitting, The Space Between Us, and Mattel’s MindFlex. 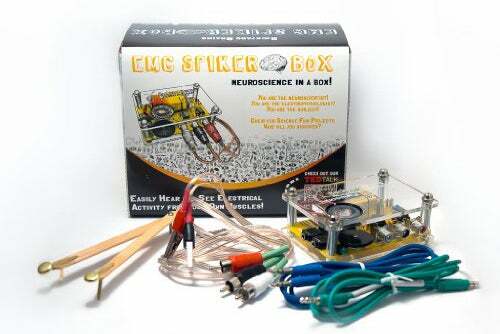 Plexiglas, popsicle sticks, basic electronics, and a 9V battery—the brainiacs at Backyard Brains have managed to bundle these seemingly unrelated parts into their educational SpikerBoxes. Although primarily designed for schoolchildren, experiments such as the RoboRoach or the human-to-human interface are sure to unravel any users' inner child as well. SpikerBoxes are thought out for standalone operation and have an integrated speaker to provide direct feedback in response to events such as muscle contractions, heartbeats, and others. A nice party trick is connecting the sensor boards to the audio jack on a computer or smartphone. This enables one to use the sound card as a data acquisition device and look at the data in real time. 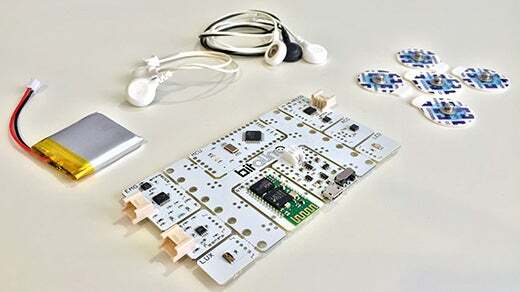 These guys have even made a module for the littleBits educational platform. SpikerBox kit schematics and annotated schematics are available as free PDF downloads (here and here) from the project website. Although they are not classified as full-fledged medical devices, each of these platforms enables us to learn and build a pretty comprehensive body of knowledge about our health status. In light of the book "The Creative Destruction of Medicine" by Eric Topol, low-cost DIY hardware for physiological computing is just another ingredient of a digital (r)evolution bound to create better health care practices. We’d love to have your comments on experiences with these tools or with any similar platforms that you may be familiar with and are not listed here. This article is part of the Open Hardware Connection column coordinated by Rikki Endsley. Share your stories about the growing open hardware community and the fantastic projects coming from makers and tinkers around the world by contacting us at open@opensource.com.